In the short term, it may even increase our duress as we wind up with a resolution appreciated by neither China nor the U.S.
To get through more turbulence, the country has to be prepared for what may come. We cannot afford to repeat the surprise, confusion, alarm, and infighting that marked our initial reaction when Canadian authorities first detained Meng Wanzhou. Canada should not have been surprised by China’s aggressive response, which included detaining two Canadians and rushing to apply the death penalty in a drug-smuggling case involving a third. We’ve seen this kind of behaviour from China before. A scant four years ago,two Canadians were detained in response to Ottawa extraditing a Chinese national to the U.S. Yet, instead of learning from experience, we are again surprised. We should, instead, have been prepared. As the situation escalates, our public reactions signal to China—and the rest of the world—that we as a nation were unprepared. This display of inexperience provides a roadmap for how to influence, or worse, intimidate Canada next time. And there will be a next time. China is our second-largest trading partner, accounting for eight per cent of total two-way trade, up from two per cent only a decade ago. It could soon be 10 per cent or higher if growth trends continue and if agricultural exports to China double as called for by our government and applauded by Canadian farmers. We trade almost as much with China as our third- and fourth-largest trade partners combined, with sectors like canola that would be crippled by losing access to China. Choosing to have China as our second-largest trade partner has costs. Our resulting trade dependence ties our hands in an analogous, but less intense, manner as our dependence on the U.S. We used to worry about being in bed with one elephant and getting crushed; we now have a second. First, realize that we are far smaller, and far less important to China than it is to us, and certainly far less important than we think we are. Our relationship with China is long-term and our responses must be calibrated. Calls for immediate, short-term, feel-good measures like rushing to apply maximum pressure to “teach a lesson” will be counterproductive with a country that is the epitome of long-term thinking. A better answer lies in adapting elements of strategies that have allowed us to, more times than not, avoid getting crushed by the American elephant. 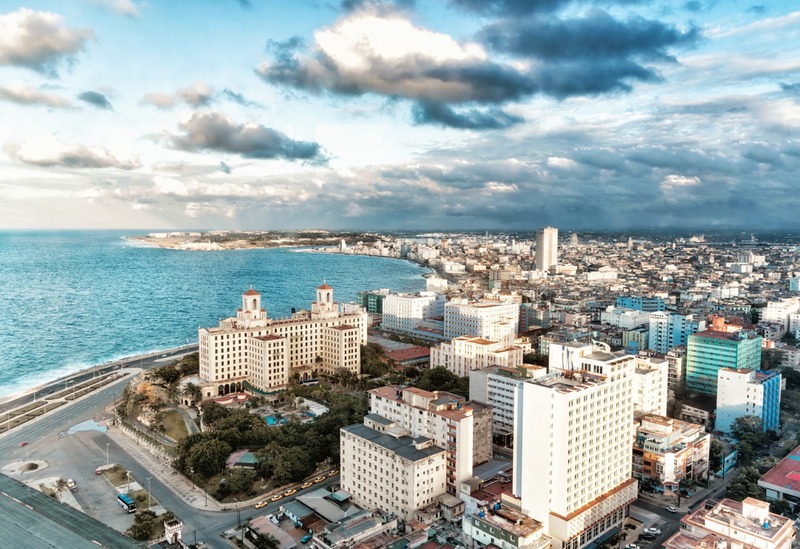 One example is over the U.S. economic embargo of Cuba. We have had Canadians prosecuted, and domestic subsidiaries of American firms ordered by the U.S. government to remove products from Canadian shelves. None of this is as severe as having a Canadian rushed into the death penalty as has happened in China, but the point is that a foreign country was attempting to nastily use political leverage to impose its will and infringe Canadian sovereignty. Despite the huge difference with our respective size, clout and dependence, our response to the Americans has been clear, patient, firm and unwavering. We passed laws to criminalize compliance by Canadian companies with the U.S. embargo. Where we have crossed the Americans we have worked hard behind the scenes to quietly repair the damage. Yet, repeatedly defying our largest trading partner is still risky. Twice a year the U.S. government has to grant Canada a waiver from economic retaliation for our clear violations of U.S. embargo law on Cuba. Were it not to do so, repercussions for Canada would be severe. Despite fundamental disagreements and interference from the U.S., we have managed the relationship well enough that Canada not only endures, but also continues to prosper in both the U.S. and Cuba with our values and self-respect largely intact. We may not like the idea of compromise with China, but the economic importance of the relationship suggests—as with the U.S.—that we must. An example of how this strategy translates to our current predicament with China is Canada’s insistence on following the rule of law. We, legally, honoured the American request to detain the Chinese executive, as would they a similar request from Canada. We will continue to follow the rule of law when we weigh the evidence the Americans present in support of their extradition request. If the evidence is found lacking, then we will be free to deny the request, based on transparent process and rule of law. It will neither be to make a quick buck in the U.S. or China, nor to score political points at home. But in so doing we send a signal to China—and to Americans—that we are not moved by temper tantrums and threats, and that we are prepared to bear the costs. Perhaps most importantly we send the same signal to Canadians, one that we can hope they will remember when this happens again.